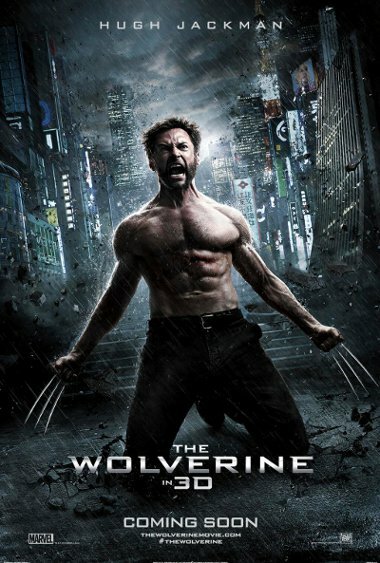 When The Wolverine starts in cinemas worldwide, fans have to accept that it will be rated PG-13. This decision was made in order to reach a broad audience. Economically understandable as the budget wasn't that small. Digital Spy: How long is your first cut of the movie and are there any scenes you had to lose that'll make it to the DVD? Mangold: "I'm very happy with the cut, and the studio was very generous in terms of letting me finish the movie as I wanted, but I do think we will have a slightly more violent version... let's say an unrated, a bloodier version. There's about ten or 12 minutes of scenes that I'd love people to see, that we'll produce some kind of longer version of the movie at some point on Blu-ray or whatever. There's another great scene with Hiro Sanada and a much more elaborate battle with ninjas from the third act that is a pretty huge battle sequence that you'll see." Digital Spy: How did the ratings board deal with the scene where Logan plunges his hand into his chest? Mangold: "I was amazed that we got that through. At one point we saw a little more of the cut in his chest, but the way the rules work in the States is they're not human, you're not held to the same standard as if they were human, so it was almost an act of convenient anti-mutant-ness! The MPAA views mutants as less than human, and therefore their pain is not worth as much of our anxiety, or not as troubling to children. But that did work to my benefit, so I shouldn't criticise it too much!" If you still want to see The [rather harmless] Wolverine in theaters, you can do so with some less anger since the longer version is most likely underway.